A video of a Virginia father's unorthodox punishment for his bullying son has gone viral. 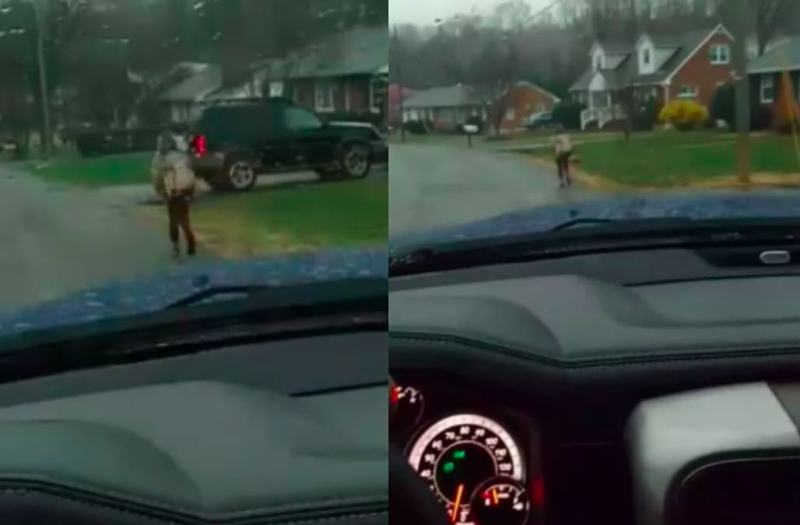 Bryan Thornhill shared a Facebook Live video on March 1 showing his 10-year-old son running to school in the rain as punishment after he was kicked off his school bus for three days for bullying another student. In the video, Thornhill says that he "does not tolerate" and "cannot stand" bullying, and refers to the unusual punishment as "old school, simple parenting." The father of two also claims that since his son has been running the mile trek to school every day, his attitude has vastly improved. "Ironically, since he's been running to school this week, his behavior's been much better. Teachers have approved of his behavior this week," Thornhill said. He hasn't gotten in trouble this week, where last week, he was just absolutely out of his mind." "Teach your kids, don't be a friend, be a parent," Thornhill ended his video. "That's what children need these days." Although many social media users said they supported Thornhill's parenting methods, some were concerned that the punishment was too much for the young boy. @foxandfriends Someone some how will find offense to this. Good for you Dad and son! Thornhill shared videos of his son's second and third runs to school on Facebook, in which he addressed some of the online backlash he has faced by providing more context surrounding the seemingly harsh punishment. Thornhill explained that his 10-year-old is an athlete who suffers from ADHD. He said his son is used to this type of punishment because if he misbehaved during practice, his coaches would make him run miles. "We've always joked he’ll either be fast or obedient," Thornhill said. "So far, we're working on fast." The original videos amassed well over 1 million views before Thornhill deleted them from Facebook on Tuesday.